SMF batteries growth is on the rise, and that is because it serves a host of applications. Manufacturers are designing SMF battery based applications as they are better at recharge and also discharge capabilities. The battery market in many places like Chennai, India is worth billions, with SMF batteries making a whopping 20% contribution to this turnover. Apart from the design, the way the users think about cells is also changing, Most users have realized that they are incredibly essential to provide power backup. Sealed Maintenance free or the SMF batteries are used in many applications like the small UPS systems installed at home to the large industrial plants. Another significant advantage of these batteries is that they do not pollute the environment like the other types not do they require any maintenance. The SMF technology is used in many sectors, but the most telecom and the power sectors have adopted it extensively. Also, customers are more knowledgeable and are looking for ways to cut down on pollutants and go green. Amaron car battery dealers in Chennai have seen a rise in inquiries on this technology by customers who are ready to spend a few extra rupees more for SMF battery. Due to this, battery dealers in Chennai have seen a decline in the lead-acid battery sales. These two together are called the sealed lead acid batteries or VRLA which also includes a relief valve for safety pressure. A VRLA battery does not spill electrolyte when inverted and also use very less battery acid than the lead batteries traditionally found. The need for battery acid is also less as the system is designed so that there is minimal loss due to spill, evaporation or gassing. That in turn also means there are less maintenance and more longevity. The VRLA batteries have a unique valve called the pressure valve which is opened only in an emergency. That is a departure from the use of vent caps that are used in the regular batteries to allow gas to escape. During charging, the galvanic action of the battery releases hydrogen and oxygen into the atmosphere. The valve regulation in these batteries along with the electrolyte design ensures that the gassing is reduced, and so is the release of hydrogen. A recombinant system is in place which makes sure that the hydrogen and oxygen combine with water. All this makes the battery much greener and safer for the people and the environment. SMF battery for Electric vehicles: The government has offered subsidy on electric vehicles be it bikes, cars, etc. Auto Rickshaws are common in Chennai and can become a popular alternative to drivers as the fuel cost is low. Inverter Battery dealers have seen a sharp rise in the growth of 12v batteries which caters to this segment. There are a host of other high capacity batteries for UPS categories and advanced SMF or VRLA battery for bikes and cars. 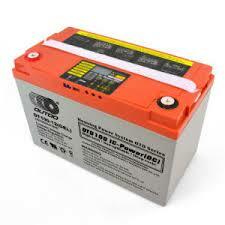 Deep cycle batteries: This is the latest technological advancement in this battery and is based on 4BS technology. In this, the charging and the discharging are simple and also faster compared to the earlier version of the SMF VRLA battery. AGM in SMF battery: Another advancement is the use of AGM which gets rid of water loss issues. The battery does not need any top up of water once it is filled with acid and sealed. Glass fiber mats are used to absorb electrolyte, and they are quite robust with quick charge and discharge. The plates in these AGM’s can be flat or spiral and the spiral ones collect pure lead. Can be used in solar batteries, which gives good performance and longevity without an increase in installation costs. Low energy consumption and better efficiency.